Cape Town, in the Western Cape of South Africa, is beautiful for so many reasons. Dramatic landscapes, azure waters, history, heritage, culture, arts, crafts and music are all part of one of the world’s most loved cities for locals and tourists alike. Hiking and walking throughout the Cape Town area and its surrounds showcase the splendour of the Mother City, inviting those of different fitness levels and preferences to explore the magnificent views, fauna and flora of the cultural epicentre of South Africa. There are a number of hiking trails that lead hikers to the dizzy heights of the table-top of this mountain. Then, there are also a number of walking routes along the top of the mountain for those that want to see that breath-taking views from atop this iconic mountain without the strain of climbing it. For these ones, you can reach the top by cable car, walk fairly far distance as you explore the top, and then be transported safely back to your transport below via the cable car again. So, walking around Table Mountain’s heights is perfect for families with children or for the elderly that can manage a bit of a stroll. 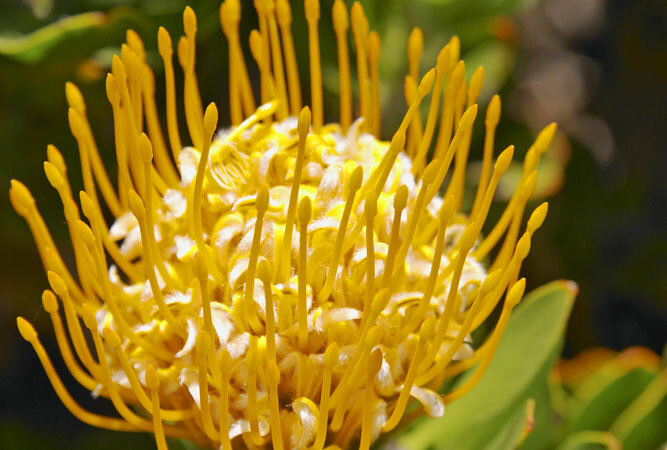 Immerse yourself in the botanical beauty of these historical gardens, crammed with exotic flowers, indigenous trees, cacti, cycads, ferns, medicinal plants and scent-sational flowers that emit heady fragrances. You can also spend the day picnicking here, or enjoying a cold glass of wine at the world-class restaurant. 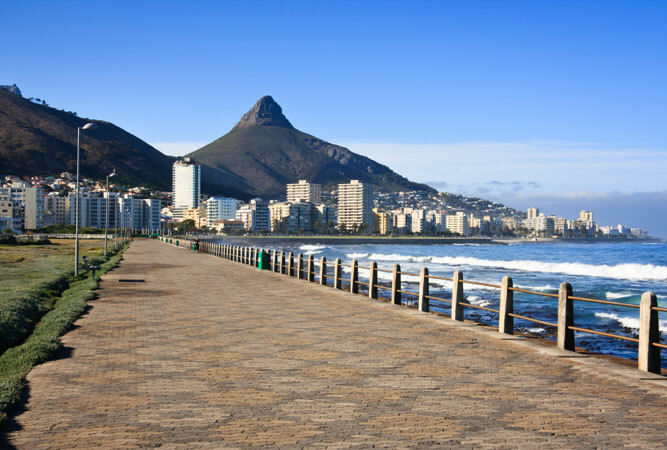 This path extends along some of the beachfront of the bustling suburb of Sea Point. It is perfect for a slow stroll, a more athletic run, ambling with young children or exercising dogs. It extends for some four kilometres and sightings of dolphins, Cape Fur Seals and even the odd Southern Right or Humpback whale are not unusual. The walkway is paved and takes walkers past a putt-putt course and an outdoor gym that is well-equipped and popular amongst locals that want to get fit while still enjoying the outdoors. This route boasts a totally different side of Cape Town; one that is more rustic, scenic and old-worldly. There is a concrete walkway measuring 3.4 kilometres that extends from Muizenberg to St James. From there, it is a short walk along the sidewalk to reach the gorgeous tourist hub of Kalk Bay. The beaches along this route are small, but inviting, and the tidal pool at St James is great for young ones. In Kalk Bay, there is a host of restaurants, coffee shops, antique stores, book shops and more. Between June and December, walkers on this trail are often graced with the appearance of whales as they lobtail or breach in the waters nearby. 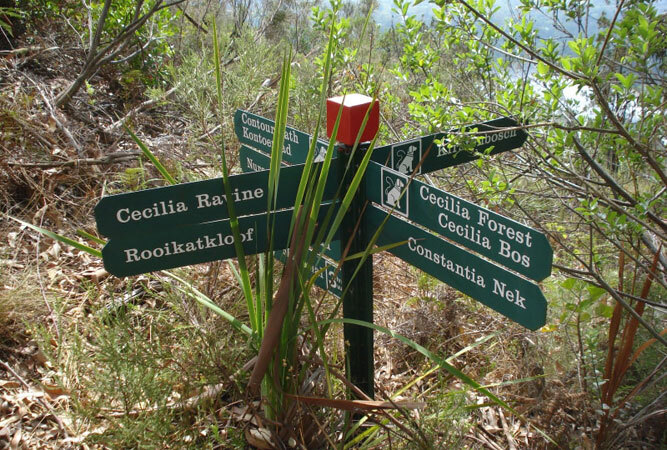 Find yourself in one of the most beautiful parts of Constantia – with a variety of routes to choose from you can do this walk a number of times. You will often see plenty of cars parked where Rhodes Drive meets Hohenhort at the beginning of Cecilia Forest, this is a good starting point. Keep your eyes open in the beginning for the fork along this path as you need to first take the left and then right fork to get onto the single track which offers a relatively flat and easy circular route. Lucky enough the route is popular so follow a group of people who look like they know where they are going if you’re unsure. The alternative route is to the Cecilia Waterfall, which is beautiful! Book your Mother City Accommodation and find plenty more Things to Do in Cape Town while you’re visiting South Africa.